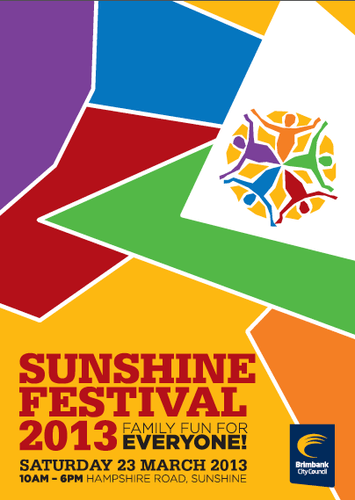 The Sunshine Festival is held during Cultural Diversity Week (18 – 24 March 2013) and is the feature event within a co-ordinated program of events in the Brimbank municipality. Now well established as a street festival, the Sunshine Festival 2013 will run as the signature Sunshine District event produced by the Arts and Cultural Development Unit. Back for the second year is the hugely popular Home and Away meet and greet with cast members Kassandra Clementi who plays Maddy Osbourne and Andrew Morley who plays Spencer Harrington. Ensure you have prime position on Hampshire Road for Brimbank on Parade at 11am as they will be cruising by in vintage vehicles. From 1pm on the Channel 7 stage don't miss your chance to have your photo taken with perhaps your favourite star. Featuring on the Channel 7 Stage from 2pm will be the finals of Brimbank Stars. From a very competitive field don't miss the fabulous line up in store for 2013 with finalists ranging from 12 years to 21 years of age. Finalists will cover genres from pop, funk and the classics through to dance and instrumental. There will be lots of fun for everyone, come and join us for a great day!